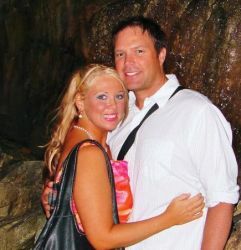 My husband and I met March 2008. Don't Jacqueline and David look great together! It was was nice knowing upfront what we both believed in and that our faith was strong. I felt very safe using your site. 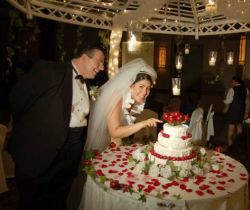 We were married April 28, 2009 and are fast approaching our first year anniversary. We both felt good about signing on your site and feel that God used it to bring us together. I wanted to encourage your users and those who may be thinking about online dating but are not sure. We want to tell them all to try it out. We met on ChristianCafe.com in 2004. Afer finding Barbara, Michael tells singles ChristianCafe.com 'worked for us'! Michael is a Workplace Chaplain and much of his ministry is online where he often encourages Single Christians to give ChristianCafe.com a try. "It worked for us!" he says. After meeting on ChristianCafe.com, the couple exchanged 186 e-Mail messages before they even spoke by phone. On their first phone message, they arranged a date in Abilene, a point roughly in between Michael and Barbara. "I felt like I was about to meet a friend I hadn't seen in a while," Michael says. "He never asked me to marry him... we both just knew," Barbara admits. Barbara had been single 11 years prior to meeting Michael. He'd been alone for 9 years, "We were both getting along just fine... neither of us was 'needy' and took advantage of that 'alone' time to grow closer to Jesus. I always knew I couldn't fall in love with anyone who wasn't in love with the same guy," Michael quips. "The three of us make a great couple!" I thank God for this wonderful man that He gave me as husband! Jason is Dora's treasure and the love of her life! Jason is sooo excited to have married Dora! He is my treasure and the love of my life. He is amazing!! And I love him so much and I am so proud of him! Our second anniversary is gonna be next April 18th. Thank God for ChristianCafe.com. Bless you guys. You are doing a marvelous job for those singles who could not go to bars or date from work enviroment. I never thought I would be writing this letter. I had tried [another dating site] for a year and had no matches. After the first day on ChristianCafe.com, a very nice guy sent me a message. That was in Early November. We just mailed back and forth for about a month and then started talking on the phone. We are easing into the relationship but I can't believe this 52 year old Widow could have met such a sweet, kind, easy going devote Christian. I know the Lord will lead us in whatever way we should go. Don't give up hope on ChristianCafe.com. I am glad I took a chance. Prayers to whoever reads this and please keep us in your prayers also. Thank You so much for my time on your site. I love the design, structure, instruction, and feeling found within. This is the BEST site I have visited. The kindness of your staff is greatly appreciated. My husband and I met on ChristianCafe.com and wanted to say thank you. We both prayed very specific prayers about the person that we wanted God to bring into our lives. God brought that and more to us in each other. We are grateful that God used this site as a tool for us to meet each other. 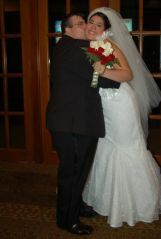 We were married January 1, 2010. I have tried other Christian websites, and I have never had another website effectively police and protect me like your team does. I have nothing but high praise for your efforts. God bless you all! I was stationed in Iraq for two years. 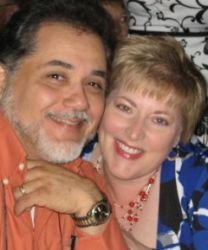 In May of 2009 I joined ChristianCafe.com and met two wonderful ladies. The first was from my home town Chicago, IL., the second lived in New York. Both were wonderful single moms, mature and committed to the ways of the Lord. I established a very close relationship with the first lady that I met. During a morning devotional time of prayer, my relationship with the first friend took a sharp, unexpected turn and the Lord led me to develop a more romantic relationship with the second friend. I ended up being very close friends with the first beautiful lady and we will always be. 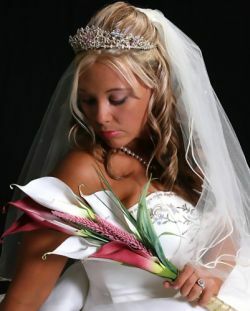 The second one from NY became my wife on January 22nd. God gave us true love, appreciation and respect, we will live happily ever after without a doubt! I made friends with several other members from the "Prayer Room" - that's the place to be. I am 65 years of age and my wife is 57. Both my wife and I were products of previous marriages and divorced, so be encouraged: God will always be the God of another chance if we are serious about honoring Him first and then others. In seeking the best possible relationship, we must be real, transparent and truthful with one another, never negative or critical. It just goes to show you that you that Genesis 18:14 is true. God will work to bless us even on a Christian Dating Internet Site if our hearts and motives are right. Respect their rules on ChristianCafe.com - they are in place to protect your best interest to insure a safe and positive experience. Follow their instructions to the "T" because like everything else, there will always be those who join dating sites with the intent to take advantage of you for their own selfish, personal reasons. Thank You Lord for ChristianCafe.com! I don't need you any more! 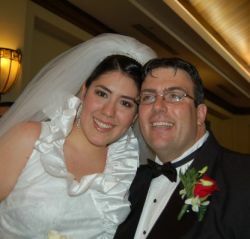 March 31, 2009 I married a wonderful Christian lady I met on ChristianCafe.com. We recommend you to friends every chance we get.